It's January release time at My Time Made Easy. Have we got some great templates for you this month! 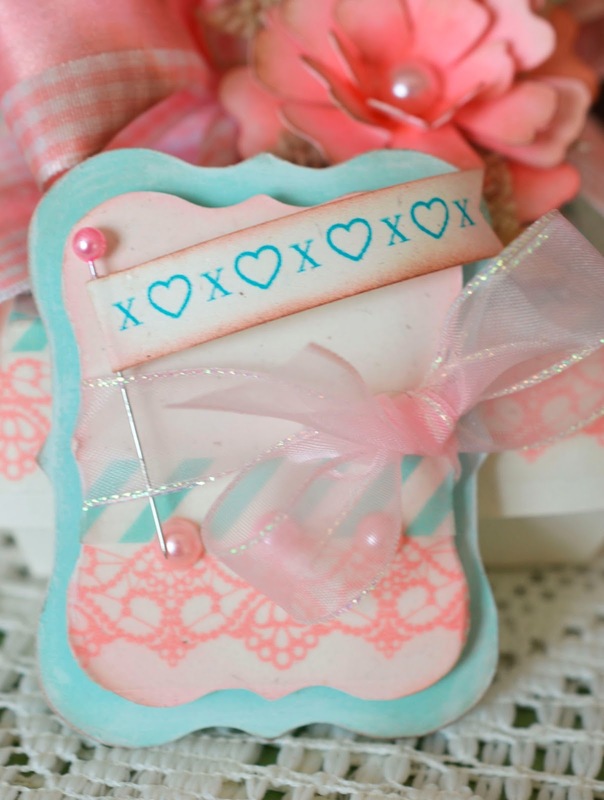 Love this little hinged gift box. It's called Clamped Shut. This was fun to decorate. To make the flower, I cut a piece of cryogen white using Blossoming into Spring cut file. Then I colored the flower and leaves using my copics and aged the them with distress ink. I wrapped the box with two washi tapes - love that pink lace one! I made a tag to go inside the box using Fine Finish cut file and Round Off stamp set. Enjoy the projects and thanks for stopping by! What a superb box this is Lori! It has such a perfect flower on top and I adore the vivid papers! You are terrible on my wallet! ;) I mean that in the kindest way though.. I am now adding that tape to my "I really want that" list. The lace is GORGEOUS and I love your hand colored and dyed flower. 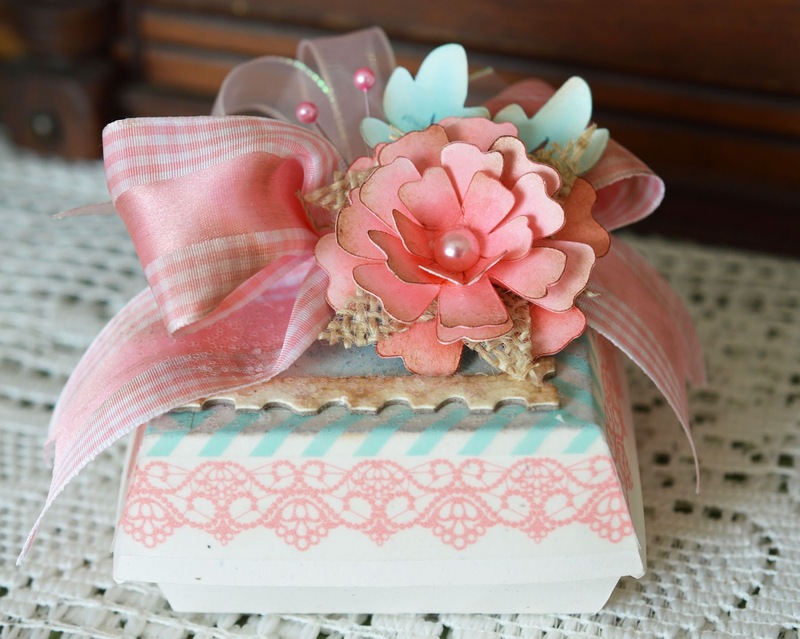 The tag and box are just exceptionally beautiful Lori. Lori this is beautiful! Love the colors! So pretty. 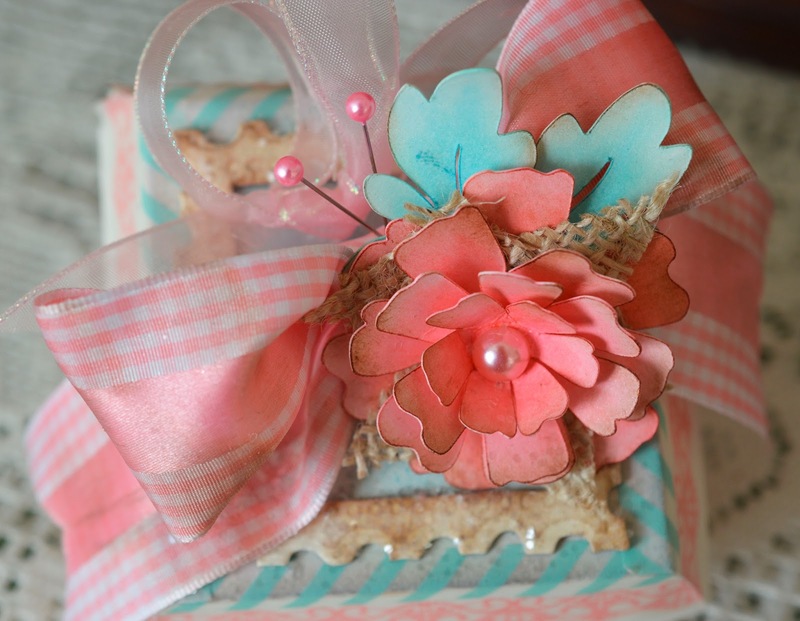 Love your pink flower and the washi tape is fab. Spotted you on MIM and pooped over for a closer look at your flowers. Just so pretty my friend. I LOVE the pink flower. So very beautiful and the flowers are stunning! Love your color combo too! Saw you on MIM and needed to check this out! So glad I did! Beautiful little box!!! 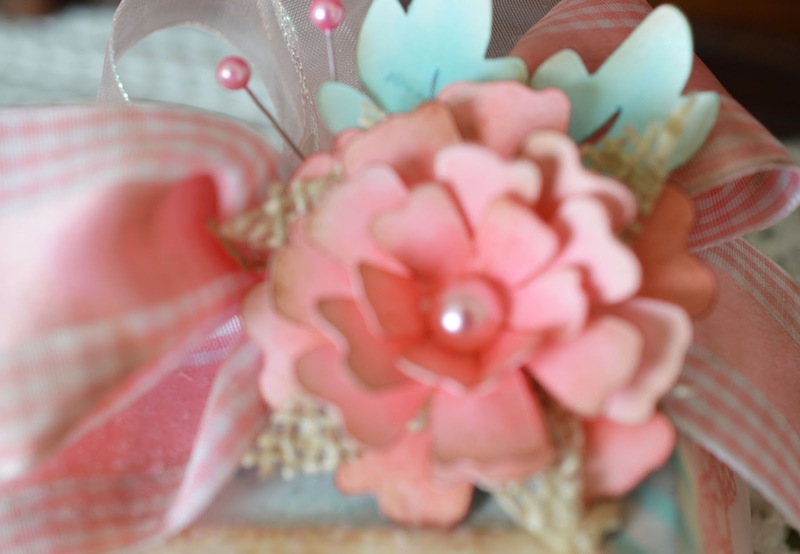 Love your gorgeous handmade flower and the lush bow. That washi tape is gorgeous. Thanks for sharing with us at Make It Monday this week, Lori.